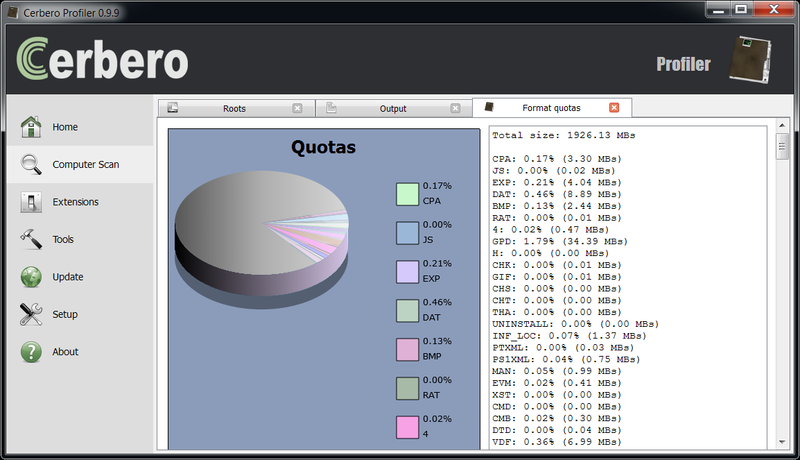 The upcoming 1.0.0 version of the Profiler introduces support for SQLite3 databases. You’ll see that even viewing large tables is pleasantly fast. The SQL table control is available to the Python SDK as well: it can either be created via createView or inside a custom view with the tag sqltable. So it’s possible to display a particular table in it or offer the possibility to the user to choose the table via setSQLTableSelectVisible. db = obj.GetHandle() # retrieves the internal SQLite handle, never to be closed! The handle returned by GetHandle grants only read access. 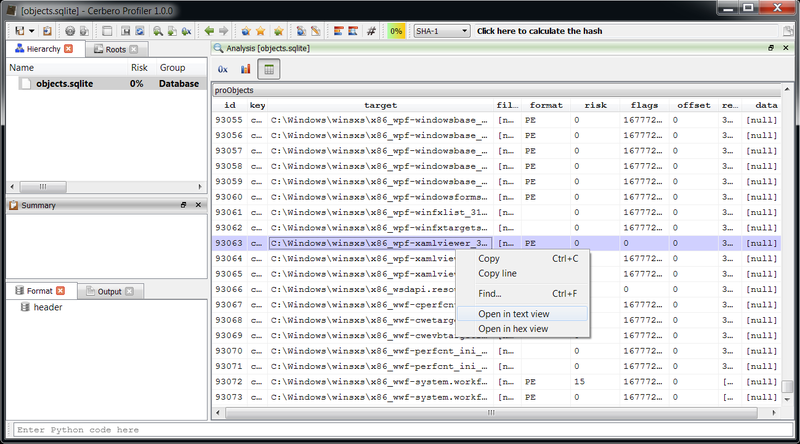 In fact, to maximize speed and avoiding copy operations, the Profiler replaces the virtual file-system of the SQLite database in order for it to read directly from the CFFObject. The exposed C API can be used to open external databases as well and will be used to access the main report database file in order to give plugins the capability to store and retrieve their own data. When the database file contains free pages, it will be reported in the summary. Free pages usually contain deleted data and can therefore be of interest for forensic purposes. The image above shows a test database I’ve created. 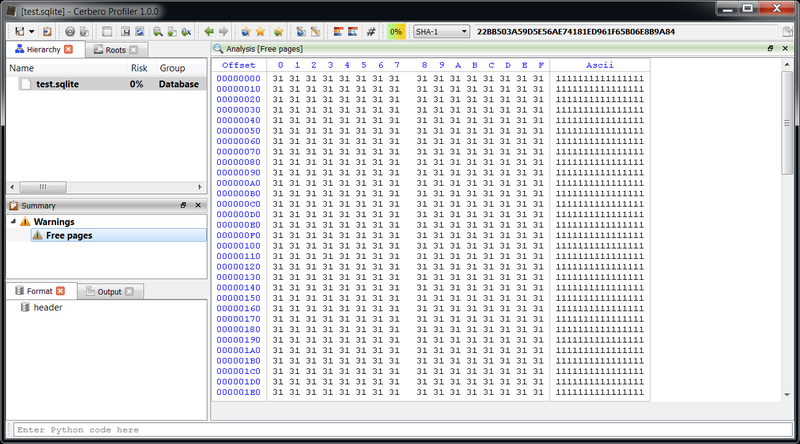 In it I created a few tables, and inserted some records containing repeated values (but keeping each record different). Then I deleted a specific record containing ‘1’s. The result is that the database now contains free pages and when inspecting them with the Profiler we can see a big part of the original data. Keep in mind that data contained in free pages can be incomplete and is scattered. 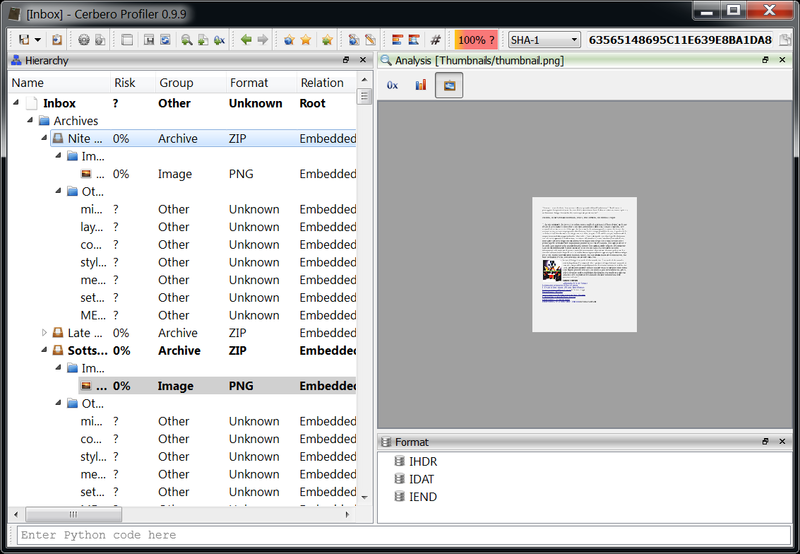 The free pages data can be retrieved programmatically as well through the method GetFreePages. Stay tuned as there’s much more coming soon!